Any person wishing to visit Canada must meet all the requirements of Canadian immigration law before he or she will be permitted entry. Under Canada's health and security regulations, foreign nationals with a criminal conviction (including misdemeanor DUI or DWI) may be considered inadmissible to enter the country unless they are given special permission from the Canadian Government. This permission can be officially granted via a Temporary Resident Permit or TRP, which is a document issued by Canadian immigration authorities allowing an otherwise ineligible visitor to cross the border and enter Canada for a specific amount of time. Temporary Resident Permits can be issued for as little as one day (single entry) or for as long as three years (multiple entries), depending on a variety of factors including a person's reason for entering Canada and the strength of their application. A Canada TRP can be obtained in advance of travel or can be applied for at the border given urgent circumstances. Americans interested in permanently overcoming their Canadian criminal inadmissibility can also apply for Criminal Rehabilitation provided it has been more than five years since full completion of sentencing. Canada Criminal Rehabilitation takes significantly longer to obtain than a Temporary Resident Permit. Consequently, many people will apply for both with the aim of crossing the border immediately with a TRP and then in the future with Rehabilitation. The Canadian border now has full access to the criminal record of every American due to criminal database sharing between the FBI and RCMP. As a result, any American who attempts to go to Canada with a DUI risks being denied entry to Canada without a Temporary Resident Permit or Rehabilitation! Applying for a Temporary Resident Permit on your own is often compared to representing yourself in court; you are technically allowed to do it, but it is likely not a very wise decision. The Canada TRP application process is a complex legal procedure that could easily overwhelm a person! Many people are not even able to download the correct Temporary Resident Permit form let alone accurately equate their conviction to Canadian law, craft a persuasive narrative justifying their need to travel, and back it up with enough supporting documentation to satisfy Canadian immigration officials. The IRCC's standards are very high, and if a person wants to be issued a TRP successfully their Canadian Temporary Resident Permit application must convince the adjudicator that their need to enter Canada is greater than their potential criminal or security risk to Canadian society. Canada has recently enacted new impaired driving laws, and as a result, a DUI offense is now considered a serious crime north of the border. Consequently, it is now more difficult than ever for Americans with a DUI or DWI to get approved for special permission to cross the border. This is where our Temporary Resident Permit application service comes in handy! Our Canadian immigration lawyer has extensive experience helping Americans apply for a Temporary Resident Permit so that they can travel to Canada with a criminal record. Why stress yourself out trying to correctly complete the T.R.P. form and identify the many required documents you must gather, when you can hire our team of professionals to do the hard work for you! Phone us now for a free consultation! One of the most difficult aspects of the Temporary Resident Permit application is writing a compelling narrative that justifies why a person should be permitted entrance into the country. In order to get approved, a TRP Canada application must ultimately convince immigration officials that the applicant is now rehabilitated after their past mistakes and that they do not pose a threat to the local population if allowed to cross the border. A Temporary Resident Permit may be issued for as long as three years, can be good for multiple re-entries, and can even be extended before expiry in certain cases. While a TRP Waiver can help facilitate travel to Canada as a visitor, it may not suffice if you plan to move to Canada long-term since it will eventually expire. Individuals interested in becoming a Canadian Permanent Resident, for example, must first overcome any criminal inadmissibility with Rehabilitation otherwise their Canada PR application will be denied. Criminally inadmissibility, even for something as "minor" as driving while intoxicated (DWI) or driving under the influence of alcohol or drugs (DUI), can impede eligibility for every single Canadian immigration channel including Express Entry. Criminal inadmissibility can also inhibit a foreigner's ability to obtain a Canadian Work Permit or Study Permit, including NAFTA Work Permits and University Student Visas. Unless it is an emergency, it is important to apply for Temporary Resident Permit Canada DUI permission well in advance of international travel. Once you are a Temporary Resident Permit holder, crossing the border with a criminal record should be easy provided the Waiver has not expired and you have no additional criminal charges. Do I Actually Need a Temporary Resident Permit? Some people seem to think that they can enter Canada with a criminal record simply by not disclosing it at the Canadian border. If you are a US citizen or resident, this is simply not the case as the United States and Canada now share criminal database information allowing the Canadian border to see a visitor's full criminal history. As soon as an American gets charged or convicted of a crime, such as DWI or possession of a controlled substance, the offense is added to the FBI criminal database which is then shared with Canada's RCMP criminal database. There is no presumption of innocence at the Canadian border, so even a pending criminal charge can result in a border denial regardless of the fact that no conviction is present. Lying to border agents can not only cause an American to be denied entry to Canada, it may also land them in significantly more trouble such as a full out ban from crossing the international border for several years. Even a traffic violation related to impaired driving, such as a DWAI in New York, can result in a traveler being refused admittance by Canadian border officials since it still equates to a full DUI in Canada. Most inconsequential traffic offenses for moving violations, such as a speeding ticket, do not render a person inadmissible to Canada. Major offenses that result in a misdemeanor or felony traffic violation, however, can cause a person to be denied entry at the Canadian border if they do not have special permission to enter the country. The Temporary Resident Permit Canada application process is reasonably convoluted, so it is advised that a person retains a legal professional to help them apply for this special permission. The TRP Canada application also requires a large volume of supporting documentation which is needed to reinforce the statements made in the application. If the equivalent crime in Canada may be punishable by ten years or more of incarceration, a foreign national with such a conviction may never be considered deemed rehabilitated by the passage of time. As of December 18th, 2018, the maximum penalty for impaired driving in Canada is ten years, an increase from five years due to the country's strict new DUI laws that were implemented to coincide with the legalization of marijuana. As a result of Canada now considering intoxicated driving to be a serious crime, any American with a DUI may now be denied entry regardless of how long ago the offense occurred. People with a single non-serious offense (excluding impaired driving) may be allowed back into Canada if it has been more than 10 years from full completion of all sentencing provided the incident did not involve violence, a weapon, or property damage. It is important to note that an individual is not eligible for Canadian Deemed Rehabilitation by virtue of time until ten years have passed since completion of their full sentence, as opposed to ten years from the date of the actual offense or conviction. This means that the clock does not start ticking until after an individual has served all jail time, completed all probation, paid all fines or other restitution, and completed any mandatory classes or rehabilitation required by the court. This also applies to Criminal Rehabilitation eligibility, which requires at least five years to have passed since full completion of all sentencing. Individuals with a single DUI who were eligible for Deemed Rehabilitation before December 18, 2018, may still be able to travel to Canada without a Temporary Resident Permit but should always consult with an immigration attorney before attempting to enter the country. Regardless of how long ago their criminal record occurred, felons may always require an entrance document or rehab in order to clear border security and step foot on Canadian soil. Likewise, if an American has an old DUI but did not complete all sentencing at least ten years before December 18, 2018, the only way he or she can apply to overcome their inadmissibility is with a TRP or manual Criminal Rehabilitation; automatic Deemed Rehabilitation will never be an option even if the conviction occurred well over ten years ago. Prospective visitors with old offenses should consider applying for Criminal Rehabilitation instead of a Temporary Resident Permit, as Canada prefers people to go through the more thorough process if they are eligible. The processing time for a Criminal Rehabilitation application is notably longer than for a TRP application, however, which is a factor that should be considered as some people may need to travel ASAP. Multiple entry Canada Temporary Resident Permits can empower a person to come and go from Canada for as long as three years, but the permanent solution of Criminal Rehabilitation never requires an extension or renewal and ensures that authorities can never consider a prior DUI or criminal conviction as a reason for denying entry. Serious DUI offenses, such as DUI manslaughter or DUI hit and run, can pose additional challenges in many instances. If you have ever been arrested in USA, it is a smart idea to contact a lawyer for an honest assessment before attempting to enter Canada. If you searched online, you might have found it remarkably difficult to locate the Canadian TRP form. There are dozens of posts on Internet message boards and discussion forums related to immigrating to Canada that discuss how hard it can be to find the proper Temporary Resident Permit application form and instructions. According to a few users posting on these websites, some PDF files on the Immigration, Refugees and Citizenship Canada (IRCC) site can appear to be corrupted when using older web browsers or software and do not always seem to show up well in search engines which can make the procedure extra problematic even when you know the precise TRP Canada form number. Some posts even claim that if you do not have the latest version of Adobe Reader or Adobe Acrobat, some PDF documents on the official Canadian immigration website can say "to view the full content of this document, you need a later version of the PDF viewer" or "if this message is not eventually replaced by the proper contents of the document, your PDF viewer may not be able to display this type of document." We have even received phone calls from people who allegedly spent countless hours trying to access or download a copy of IMM 1444 (technically it is imm1444E.pdf since it is the English version) only to finally conclude that they are better off seeking help from a qualified professional. An experienced Canadian immigration lawyer can maximize your chances of successful entry into Canada by producing the strongest application possible given your situation. If a Canada Temporary Resident Permit application contains even a small mistake or is missing some support documentation, immigration authorities might not issue a permit as the IRCC's standards are very high. If an individual is presenting a Temporary Resident Permit application at the border, which is fairly common in emergency situations, a TRP application refusal can result in the person being denied entry to Canada and sent home. Now that driving while drunk can be considered serious criminality in Canada because of the country's new DWI laws, assistance from a lawyer can be especially important for any American interested in crossing the border with a DUI. The application for Temporary Resident Permit must be completed correctly, or a person might be blocked from entering the nation. Depending on your nationality, your local Canadian Visa Office may have their own Temporary Resident Permit form and supporting documents list which should be followed. If you are criminally inadmissible to Canada because of any alcohol-related driving infraction, such as DUI, DWI, DWAI, OVI, OWI, or even a DUI plead down to a reckless driving charge such as wet reckless, you may need either a TRP or Canada Criminal Rehabilitation in order to cross the border lawfully. If you will not be traveling to Canada for at least three months, you can apply for advanced permission via a Canadian consulate. Applying in advance can allow you to be issued a Temporary Resident Permit before you get to the border to avoid any surprises. If it is an emergency and you apply for the document at the border, you need to ensure your application is extremely strong because if it is not and officials choose not to issue you a TRP you can be refused entry and sent back home. Individuals interested in traveling to Canada can sometimes confuse a Temporary Resident Permit with a Temporary Resident Visa. A TRP allows someone who is otherwise admissible to Canada, such as a USA citizen or resident, to overcome health or criminal inadmissibility and cross the border successfully. A TRV is a document required of people who are not from visa-exempt countries, such as individuals from China or Brazil, in order to be permitted entry into the country. While the Temporary Resident Visa application (form IMM 5257) is almost the exact same, Americans who want to go to Canada with a DWI should be considering a Temporary Resident Permit (TRP) application, not a Canadian visa one. Although TRPs can be good for up to three years, it is important for visitors to Canada to realize that Temporary Resident Permits of a longer duration generally require a more robust application. When determining if a criminal offense or driving violation, such as reckless driving, may render a person inadmissible for entry into Canada, it is the equivalent Canadian infraction that must be considered. This is one of the reasons why retaining legal counsel is so popular; it can be very challenging to ascertain the Canadian equivalent of a US DUI or similar infraction since the exact legal language can differ from state to state. While a United States DWI conviction will almost always render someone ineligible to travel to Canada, there are many situations where a person's admissibility is not so obvious. If a person received a conditional discharge for their DUI or opted for a pretrial diversion program, for example, it can be extremely difficult for them to determine if they are admissible to Canada without a qualified attorney. It can be even more difficult to determine the Canadian equivalent of other crimes such as domestic violence, possession of stolen property, assault, fraud, possession of a controlled substance, theft, break and enter, or unlawful possession of a firearm. The seriousness of an offense according to Canada's laws can also be an important factor, and without an experienced lawyer, it can be tough to ascertain what the maximum penalty for a given US offense would be in Canada. A crime's seriousness in Canada may be needed to determine if the offense constitutes non-serious criminality (maximum sentence in Canada of less than ten years), or serious criminality (maximum sentence of 10 years or greater). In general, serious criminality often involves inflicting bodily harm using a weapon, drug trafficking, or major theft or fraud cases, but because of Canada's new DUI laws with tougher sentences a driving while intoxicated conviction can also be classified as a serious crime. It is imperative to know if Canada considers an offense a serious crime since it can impact admissibility to Canada; even if a criminal conviction happened 20 years ago, if it constitutes serious criminality the offender may never be deemed admissible by the passage of time and could still be denied entry to Canada without official permission. While there is never a guarantee that an application for Temporary Resident Permit Canada will be accepted, an attorney can prepare the strongest possible application and can help guide their client through the sometimes stressful process. If a person applies for a T.R.P. at a Canadian Port of Entry and customs officers refuse to issue them one, they may be ejected from the country and sent home which can cause major problems especially if they were traveling to Canada for work. For this reason, it is critical that an application for a Temporary Residence Permit does not contain any errors and makes a substantial case for why the applicant should be allowed to cross the border. An experienced lawyer that has expertise in this field may have already successfully prepared hundreds of applications for Temporary Resident Permits. When it comes to navigating your way into Canada with DUI appearing on your criminal record, having a lawyer working for you who understands the system can be a major asset. While the criteria for acceptance can appear highly subjective, a lawyer who has experience with Canada DUI entry will oftentimes have a solid understanding of a person's chances of success beforehand. He or she will be able to review a client's situation and advise them on the most appropriate course of action, and will represent them through the entire proceeding so that they never feel like they are alone in the battle for Canadian DUI entrance. Whether you have a DUI, DWI, OWI, DUII, DWAI, or OMVI, an experienced lawyer can help you travel to Canada. Regardless if it is a first offense misdemeanor DWI or you have been charged with a more serious impaired driving charge, such as felony DUI that lead to a period of incarceration or DUI manslaughter, it is an advisable strategy to get an honest assessment of your chances of getting a TRP from a qualified legal professional. In an effort to save money, some people who are well aware that their criminal record may cause them problems at the border decide that instead of retaining a legal professional they will try to get across the border on their own believing that if they fail no harm is done and they can then hire a lawyer. This is flawed reasoning, however, because once a person has been denied entry at the Canadian border, entering Canada again may become much more difficult going forward. If a person has a D.U.I. and wants to go to Canada despite being inadmissible, it is strongly advised that instead of gambling at the border they apply for a TRP or Criminal Rehabilitation with the strongest application possible. When applying for DWI Canada entry, it is never recommended for someone to just hastily throw together an application the night before their trip as the I.R.C.C. has high standards that must be met in order to be successful in collecting a permit. Being issued a Canada TRP can become harder after a border denial as well, since the applicant must disclose in their application that they have previously been refused entrance to the country. Anyone who enters Canada while criminally inadmissible risks deportation if immigration officials realize they are unlawfully in the country while officially restricted. When it comes to choosing a criminal inadmissibility lawyer, it may be wise to look for an attorney that is experienced with both Canadian immigration law and helping Americans go to Canada with a DUI. It may also be suggested that a person retains someone who is accessible, honest, and strategic. Now that Canada treats drunk driving as a serious offense thanks to the newly enacted DUI law in their nation, lawfully entering Canada in accordance with their admissibility rules has become more burdensome. Even after you expunge a crime, you must answer border agents truthfully if they ask if you have ever been convicted of a criminal offense. The fact that a person must confess to their criminal history if prompted by border agents is another reason why getting a legal opinion letter is often advised for any foreigner who has ever been arrested, even if they are no longer criminally inadmissible to Canada. Rather than lying about past crimes or praying that Canadian border authorities cannot see the original DUI arrest or conviction, a legal opinion letter crafted by a respected Canada immigration attorney or law firm can clearly explain why a person should be admitted into the country despite a criminal history. A high-quality attorney opinion letter can help prove admissibility by referencing the exact language of an expungement as well as the Canadian equivalent law. With a Temporary Residency Permit, it is possible to travel to Canada after a conviction for DUI. A professionally designated lawyer in good standing with their bar society can potentially give peace of mind to people traveling to Canada with a misdemeanor or felony for business trips, vacations, permanent immigration, or to visit family. Canadian Criminal Rehabilitation can take a year or possibly even longer to receive, so if you plan to travel to Canada in less than 12 months time and are criminally inadmissible due to a driving while intoxicated conviction, a Temporary Resident Permit may be your only option for crossing the border without being denied entry due to the incident. Hiring a Temporary Resident Permit lawyer to handle preparing your application can potentially yield superior results than if you did it alone. Since the TRP Canada process takes a significant amount of time when it is submitted to a Canadian consulate, it is suggested that people make arrangements to rectify their border issues long before they actually require Canadian entry. Visa officers always have total discretion when determining whether you should be issued a permit or not, and can refuse a Temporary Resident Permit application for any reason. If you are denied a TRP, there is no recourse and your only solution is reapply under a new scenario. For this reason, it is ideal that a person succeeds on their first attempt, since reapplying for a Temporary Resident Permit after a refusal is often more challenging. Do not know how to apply for a TRP for Canada? Confused about how to get Temporary Resident Permit Canada approval? If you retain the services of a qualified attorney, you do not need to know how to apply for TRP Canada approval, or even how to complete a TRP application, as this is handled by the law firm on your behalf. What Are My Chances of Being Issued a TRP? Many people want to know their chances of successfully entering Canada with a DUI. When a border agent or visa officer assesses a Temporary Resident Permit application to determine if the applicant should be permitted to cross the border or not, they consider a number of different factors from the reason for entry to the particulars of the individual's DUI conviction. While the ultimate decision on whether or not an applicant is granted entry is always up to the assessing officer (there are never any guarantees), an experienced Canadian immigration lawyer will be able to tell most of their clients roughly how good a shot they have. To speak with a Canada DUI entry law firm about your probability of success, contact us now for a free consultation! The best way to be granted criminal entrance into Canada is to have a well-prepared and fully compliant submission that contains an exceptional narrative about your reason for needing to visit the country and why you do not pose a threat to reoffend. Canada has strict DUI laws because they do not want intoxicated people driving on their roads, and they are nervous about letting in tourists who have even a brief history of drinking and driving in case they reoffend while in the country. For this reason, applicants need to truly satisfy the Canada immigration officer and make him or her believe that there is zero chance of another crime being committed while visiting the country. Immigration, Refugees and Citizenship Canada (IRCC), which was formerly known as Citizenship and Immigration Canada or CIC, does not allocate the bulk of their resources towards processing applications from foreign nationals with criminal infractions, so it can take a long time to be given permission to visit unless it is an emergency and you apply at the border. Since there is no room for mistakes when applying for permission to enter Canada with a DUI at the border (not being issued a Temporary Resident Permit can result in you being denied entry and sent back to the United States), it is paramount that you present the strongest application possible and do not just throw something together at the last minute. Canada has recently made reforms to their alcohol-impaired driving laws and drug-impaired driving laws. Bill C-46 aims to strengthen the police response to such crimes, while the country also increased the possible sentences for drunk and drugged driving convictions which subsequently makes it harder for Americans to cross the border with a DUI. Any US resident with a drunk driving infraction may be criminally inadmissible and denied entry at the border unless they apply for permission to enter Canada by way of a Temporary Resident Permit. If you have a criminal conviction that renders you inadmissible to Canada, you may not be permitted to live, visit, work, or holiday in the country so long as you are excludable under Canadian law. This means you may not even be able to visit family in Canada at Christmas, and so long as your criminal record bars you admission you may never be able to enter without getting permission from the Government. Since the Canadian and American Governments share criminal database information with each other, border control can instantly find out about a traveler's criminal record for DUI when the individual attempts to cross the Canadian border. They may also be aware that a person has warrants out for their arrest, even if it is a bench warrant from another state. For this reason, it is extremely difficult to slip through the border undetected with a criminal record, which is why many people choose to apply for a Canadian TRP before flying or driving to Canada. Canada Border Services Agency (CBSA) and Immigration, Refugees and Citizenship Canada (IRCC) employees are bound by law to enforce all Canadian DUI entry restrictions. Thereupon, prohibition from entering Canada on the grounds of breaching foreign laws is viable. An immigration violation can also bar your entry into Canada. The Immigration and Refugee Protection Act (IRPA) construes many of the country’s immigration rules and regulations, and a repercussion of violating Canada's IRPA can be a judicial order or injunction restricting your access to the nation. It is clear that someone may be inadmissible to Canada if they have been convicted of DUI, DWI, OVI, DWAI, or one of the other abbreviations for operating a motor vehicle with Blood Alcohol Content (BAC) 0.08 or above or while visibly impaired according to police. It is also clear that individuals who are inadmissible to Canada because of criminality may require a Canada Temporary Resident Permit to cross the border. How do other alcohol-related driving violations and situations affect entry to Canada however? Awaiting Trial - Anyone who has been arrested for drunk driving or a different crime may be inadmissible to Canada until they can prove to border officials that the verdict was "no conviction" or another favorable outcome. This means that in order to visit Canada with a DUI pending trial a person may need a Temporary Resident Permit since there is no presumption of innocence at the border. Many business travelers will apply for a multiple-entry TRP so that they can cross the Canadian border while they fight the charge in court, hoping that by the time their TRP expires they have successfully won their case and are considered admissible to Canada again. Reckless Driving - In many states, first offense DUIs are commonly pled down to reckless driving if there was no motor vehicle accident or bodily harm involved. While reckless driving is a significant reduction compared to a full blown D.U.I. conviction, it is still a serious offense that can cause a person to be inadmissible to Canada! The Canadian equivalent of reckless driving (including dry reckless) is "Dangerous Operation of a Motor Vehicle", which can be an indictable offense punishable by up to 5 years in jail. A wet reckless explicitly implies alcohol was involved, and can equate to a DUI north of the border causing a person to be denied entry from Canada if they do not have a TRP. Conditional Discharge - In many states, first-time DUI offenders are given the option of participating in a conditional discharge program that when completed allows them to avoid a criminal record for intoxicated driving. While an individual is enrolled in such a deferral program, they may not be allowed to go to Canada without special government permission in the form of a TRP. Once a person has fulfilled all the obligations of the program and has proof that they were not convicted of the DUI, however, they may once again be able to travel to Canada with needing a Temporary Permit. Under 21 DUI - Zero tolerance policies exist in most states that severely punish young drivers found to be driving with even a small amount of alcohol in their system. Depending on the specific scenario, an "underage DUI" or "DUI under 21" can potentially render a person ineligible to visit Canada, and persons with such a violation on their record may need a T.R.P. in order to be admitted into Canada. Actual Physical Control DUI - Anyone found in the driver's seat of a car or truck with the keys on them or nearby can be charged with DUI Actual Physical Control. Anyone interested in visiting Canada with this on their record may also need a Temporary Resident Permit to cross the border successfully. If you have a criminal record for driving drunk, you risk being denied entry to Canada regardless of whether you fly to Canada or drive to the border. When it comes to Port of Entry Temporary Resident Permit applications, the chances of being issued a TRP and allowed into Canada are essentially the same at a land border as they are at an airport. Many people incorrectly believe that because the consequences of not being issued a T.R.P. after flying into Canada can be much more severe (the person may be detained and flown back to their country of origin on the next available flight), immigration officials are more likely to accept a weak application out of sympathy. This is simply not true; the criteria a Temporary Resident Permit application is evaluated on does not change between airports, land borders, and sea ports, and an application must always satisfy border agents or else the applicant may be refused a permit and rejected at the border. There can be one advantage to presenting an application for Temporary Resident Permit at an airport compared to a land border, however. Unrelated parties usually pass through Canada Customs individually while at an airport, meaning that a person's boss or co-workers likely will not hear them disclose their DUI to officials and present their POE TRP package. On the other hand, if someone drives to Canada with their co-workers they may have to inform the border official of their DWI in front of everyone else in the vehicle, which could potentially be embarrassing. Excluding emergency scenarios, however, Temporary Resident Permits should always be applied for in advance through the Canada Visa Office in Los Angeles. Because our team assists business men and business women enter Canada for work on a regular basis, we know all kinds of tips and tricks to help you keep your impaired driving charge a secret while crossing the border. To put our experience to work for you, phone our team today for a free extensive consultation! Although Canadian Temporary Resident Permits can be issued to foreign nationals with a criminal record for as long as three years, it is rare to get a Canada TRP that is valid for more than two years. In many situations, immigration agents will only authorize a permit for enough time to allow the person to complete their planned visit, which might only be a week or two. In order to be successful when applying for emergency entry into Canada with a misdemeanor or felony record, an American must have a legitimate purpose for requiring urgent access to the country. If a person wishes to enter Canada for vacation or another reason that is not considered overly important by staff at the border, their chances of being granted permission will likely decrease. Many foreigners who will be visiting Canada with a felony or misdemeanor want to know the chance of success for individual rehabilitation or DUI TRP applications. No reputable lawyer or legal professional should ever give a client or prospective client an exact probability of success, however, since such decisions are always at the discretion of IRCC and CBSA officials and can never be guaranteed. When it comes to the type of crime you have been arrested for or convicted of, the United States of America may have different laws in different jurisdictions. For example, in one state you may be able to get a conditional discharge for DUI, while in another state that may not be possible. The ability to seal your criminal record can also vary by jurisdiction. A Canada Criminal Rehabilitation lawyer can help you cross the border with a misdemeanor or felony regardless of the exact language of local laws. Whether you have already entered a plea bargain, plead not guilty to a criminal complaint, or have been convicted of a crime, a Canada Temporary Resident Permit lawyer can tailor your application to your specific situation. Since there is no assumption of innocence at the Canadian border, visitors may be criminally inadmissible even before his or her arraignment before a court. A Temporary Resident Permit obtained in advance of travel can alleviate a person's inadmissibility issues and provide them peace of mind when flying across the border. The validity of a Canada Temporary Residence Permit can be canceled by an immigration officer at any time. After an American has been issued a TRP, if he or she is arrested for a misdemeanor of felony offense that could be treated as indictable under the Canadian Criminal Code, they may become inadmissible to Canada again. A pattern of offenses can suggest a criminal lifestyle, which can make it more difficult to be approved for a Canada entry waiver. In such cases, legal arguments and letters of reference can potentially bolster an application. Wondering how to get a pardon to enter Canada with a criminal record, and how long it typically takes? The official DUI pardon Canada document is called a Temporary Resident Permit, and Canada TRP processing times are typically around three to six months when submitted to the Visa Office in Los Angeles. If you are planning a trip to Canada but are criminally inadmissible because of a misdemeanor or felony, you should also factor in the time it may take to obtain necessary documentation such as court documents related to the crime. Do TRPs Allow You to Bring Prohibited Food Products? If you have ever watched the award-winning television show "Border Security", you may have learned that many plants and food products cannot be imported or exported internationally. Certain animals, plants, fruits, and wood products can carry bugs from one country to another causing major issues for the new environment they are introduced into. For this reason, front-line quarantine officers can hand out a prosecution to travelers who do not declare certain items in their luggage when flying into Canada. Foreign nationals who have applied for a Canadian Temp Resident Permit 2019 by virtue of IRCC form IMM 1444 (available on the Canada.ca website) do not gain any benefits in terms of bringing otherwise unlawful items across the border. Since Canada and the United States share a physical border, however, it is allowable to bring most fruits, vegetables, wood, and plant materials across the border with you when traveling directly from USA. Please note: one item that is unequivocally restricted from passing through the US-Canada border is any wood product that contains bark. Americans that have been arrested or convicted of a DUI, DWI, OVI, DWAI, DUID (DUI drugs), OWI, or even reckless driving (wet reckless) may be denied entry at the border without a Temporary Resident Permit or Criminal Rehabilitation. The presumption of innocence does not exist for Canadian immigration, which means that foreign nationals can be considered inadmissible to the country as soon as they are arrested even though they are officially innocent until proven guilty in the court of law. Without evidence to show a favorable outcome such as a "no conviction" finding, any US resident or citizen with an alcohol or drug-related impaired driving arrest may be denied entry to Canada. A TRP for Canada because of DWI is the fastest way to ensure an impaired driving charge does not result in a person getting refused at the border. Other documents proving access to sufficient funds to support the planned vacation in Canada can be very helpful when dealing with border security. Potential visitors may also have to prove sufficient ties to their home country, demonstrating to border officials that the person has a realistic reason to return home following their trip. Our Canada Temporary Resident Permit lawyer not only assists foreign nationals with the IRCC application, he consults with people about how to effectively answer questions asked by security at the border and even allows people to call him from the border if they need advice. Can You Enter Canada with a DUI? Many people in the United States do not realize that a DUI potentially denies them entry to Canada unless they attain special permission, and even the occasional US DWI attorney is unaware of this information. After a person is refused entry to Canada, they are often earnestly panicked about the situation, especially if they are traveling for business and might lose their job as a result. Another emotion often felt after a border denial, particularly if the individual must now fly back to the United States, is outrage; travelers can be exceptionally angry that the country would ban people over an "old" crime. The fact is, though, there are only two ways to legally cross the border when you have a criminal record that makes you inadmissible. They are a Canada Temporary Resident Permit and Criminal Rehabilitation. The fastest way to get a Canada TRP is to apply at a Port of Entry since the application is instantly adjudicated and a person can be issued the document on the spot. Border TRPs are generally reserved for emergency situations only, however. The standard method of applying to Immigration, Refugees and Citizenship Canada (IRCC) in advance, through the Los Angeles Canadian Visa Office, can take as long as three to six months. Arriving at a Canadian airport with a Waiver application that has not be prepared by an expert can be stressful and intimidating. Canada's immigration authorities are meticulous when evaluating TRP applications at the border, and even a minuscule error or omission can be problematic. Hiring a veteran lawyer to prepare such paperwork on your behalf can maximum your probability of approval. Wondering how to get a TRP for Canada? Phone us today for a free consultation. While it might seem unthinkable, it is possible to be detained while traveling through Canada on a cruise ship if you are a foreign national that has previously committed certain criminal infractions such as driving drunk. While enjoying an Alaskan cruise from Washington State or California, a passenger who is considered inadmissible to Canada may not be permitted to leave the ship while docked in Vancouver or Victoria (Vancouver Island). Cruise ships visiting the Maritime cities of Saint John, Halifax, Charlottetown, and St John's may also require a person to be permissible under Canadian law to leave the boat. Furthermore, it may be difficult to apply for a Canadian Temporary Resident Permit at a cruise ship Port of Entry since it not a "normal" border crossing and most visitors are there for leisure travel. As of 2019, Canadian border agents are actively cracking down on visitors with impaired driving convictions. Consequently, some cruise ships are now refusing to board passengers who are considered inadmissible because of a DUI. If you book a cruise to Alaska that leaves from Vancouver, you will need to enter Canada (often flying into the Vancouver airport) in order to get on the ship, which means a border denial can cause you to miss out on the trip (and most cruise lines will not issue a refund in such situations). Immigration, Refugees and Citizenship Canada (IRCC) / Citizenship and Immigration Canada (CIC) Form IMM 1444 is the official application form that may be submitted to the Government in order to receive Criminal Rehabilitation or a Temporary Resident Permit. Your local Canadian Visa Office may also have their own version of the form. IRCC devotes most of their resources to standard immigration programs, and some would argue that they more or less neglect "criminal" entry to Canada, or at least do not make it a major priority. Some people claim that they cannot open or download the IMM5708 PDF document from the Canada.ca website since it appears to them to be corrupted or erroneous (it allegedly suggests you use a newer version of Adobe Reader or Adobe Acrobat even if you have the latest version of the software). If you retain the services of a Canada Temporary Resident Permit attorney, however, you will not need the IMM 5708 or IMM 1444 form at all since your lawyer will take care of such things for you. Applicants seeking entry to Canada as a temporary resident must receive immigration permission if they have a criminal record for anything from cocaine possession to domestic violence, provided it renders them inadmissible. Even a single DUI from more than a decade ago could result in a person requiring an approved TRP to take a trip to the country, and multiple DWI convictions means a person may never be deemed rehabilitated automatically and could need streamlined Canada Rehabilitation in order to gain permanent access to the nation. Regardless of what state an alcohol driving violation occurred in (it could be a Michigan DUI, New York DWAI, Washington DUI, Maine OUI, or Wisconsin OWI), international border requirements and criteria for entering might mean an individual has to get a TRP Canada before traveling north of the border and hence qualify for it under one of the many valid reasons for obtaining such a document. America's friendly northern neighbor actually has more stringent border regulations than many western countries. Customarily, when dealing with security officers at the boundary, there is very little room for negotiation. As nice as it would be if there was an independent extrajudicial tribunal overseeing immigration officials, the reality is the CBSA is the sole enforcement mechanism protecting the nation's borders, and how they rule on a case is the final decision. Historically, government agents have been very fair with American tourists, but isolated cases of foreign nationals being prevented entry for incidents as minor as public intoxication or disorderly conduct have allegedly occurred. When you apply for a Temporary Resident Permit at the Canadian border, you will likely be interviewed first by a CBSA border agent, and then your entrance application will be processed by an IRCC employee (assuming you have a valid reason that warrants emergency considerations). Although the process is not exactly innovative and people can infrequently wait an hour or two just for their immigration case to be handled, it does not unquestionably involve a lot of friction. Given the right circumstances, foreign individuals who plan ahead and have a strong application to deliver to mediators can at times receive a TRP pretty fast provided the border is not busy and an IRCC staff member is available immediately. Warning: if your situation is not a real emergency, border officials may be unwilling to process your Temporary Resident Permit application. For those wondering how to apply for a Temporary Resident Permit Canada DUI, it can be done either in advance through the appropriate Canadian Visa Office, or at a Port of Entry given emergency circumstances. The applicant's chances of getting into Canada with a DWI depend on a variety of factor's including how long ago the offense occurred, how they have changed their life since the incident, and the reason for requesting special entrance to Canada. Not everyone qualifies to permanently iron out their inadmissibility matter through Rehabilitation. Unless a person’s probationary conditions were fulfilled more than five years prior, he or she will not be eligible to submit an application for permanent consideration. All restitution and compensation ordered by the court must have also been paid at least five years before applying for Criminal Rehabilitation. Can't Access IMM1444 Temporary Resident Permit Canada? Many Canadian immigration forums and messages boards contain posts about people unable to access the official CIC IMM5708e.pdf file. Some people simply do not understand how an organization as professional as the I.R.C.C. can have PDF documents on their website that they cannot get to work. Some of these people allege that when they click on the link to the IRCC Canada Temporary Resident Permit form, they are told they need a newer version of Adobe Acrobat or Adobe Reader even if they have the latest version installed on their computer. The fact is, however, Citizenship and Immigration Canada does not necessarily consider "criminality" as high priority and focuses most their resources on standard immigration programs such as the new Express Entry program. For example: if you need a Temporary Resident Visa (TRV) in order to travel to Canada, the IRCC website will tell you exactly how many days your local Canadian embassy is taking to process applications. When you apply for a TRP Canada on the other hand, the Government offers limited official guidance on processing times and it could be several weeks faster or slower than you expect. When attempting to download the IMM 5708 or IMM 1444 PDF document online, some people allegedly conclude that making it easy for foreign nationals with criminal records to enter the country is not one of the highest priorities for the Government agency. We have been told by some people that they believe the Government of Canada is likely in no rush to deal with the problems some people are claiming to have with the PDF Temporary Resident Permit application form. How Does Canada Identify Criminals at the Border? The United States and Canadian Governments share criminal information with each other, which allows border authorities in both countries to pinpoint foreign visitors with arrests or convictions on their record. Canada’s CPIC database contains FBI records, and the CBSA lookout system used at borders across the country pulls information from CPIC. This being said, the CBSA lookout system does not necessarily always contain a person’s criminal record, and is not always up to date. In fact, the CPIC database has been so seriously backlogged at times that the auditor general has even publicly stated that the system is "out of date" and "undermining the work of law enforcement and the courts." According to CBC News, it can take as long as 14 months for new information to be entered into the English CPIC system, and up to 36 months for the French system in Quebec. Felonies and misdemeanor arrests and convictions from the United States are generally not affected by these delays, however, and can be accessed by authorities almost immediately. It is impossible to know for certain whether or not a visitor will be flagged at the Canadian border due to criminality, so anyone who is criminally inadmissible to Canada should always overcome their inadmissibility to avoid entrance problems. While it is possible for a Temporary Resident Permit to be valid for a duration up to three years under Canadian law, authorities are often hesitant to issue a permit for the maximum length unless an application is exceptionally strong. A Canada entry DUI lawyer will broadly know a client's chance of being permitted entrance at the border, and will often have helped other clients enter Canada for a similar reason if the situation is common such as needing to attend a mandatory work event in Toronto or Vancouver with a solo DUI conviction that did not involve an accident. 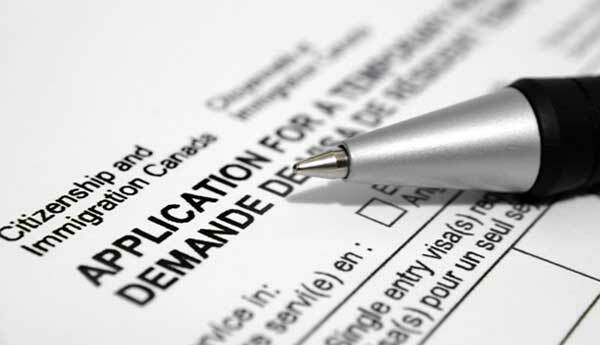 Eligible candidates are strongly encouraged to pursue Criminal Rehabilitation over a Temporary Residence Permit Canada, but given the lengthy processing times, TRP's are regularly used as an admissibility bridge enabling a person fast access to the country via airport, seaport, or land border. It is possible to apply for both a Canadian Temporary Resident Permit and Rehabilitation at the same time, potentially enabling the applicant to enter Canada with the TRP while their Criminal Rehabilitation application is being processed. One other reason why a T.R.P. could be the ideal solution is if you will soon be admissible to Canada again. If you have a single misdemeanor conviction that was non-violent and did not involve drunk driving and it has almost been ten years since completion of your sentence, you may automatically be deemed rehabilitated in a short amount of time and could once again be able to freely cross the border without special permission. In this scenario, an interim solution for temporary admittance to Canada might be more logical. Another situation would be if you are almost finished a conditional discharge program or deferred judgment program that could result in you no longer being inadmissible to the country. Our immigration lawyer is licensed to help US residents from the following states apply for a Canada Temporary Resident Permit: California (CA), Texas (TX), New York (NY), Florida (FL), Illinois (IL), Pennsylvania (PA), Ohio (OH), Georgia (GA), Michigan (MI), North Carolina (NC), New Jersey (NJ), Virginia (VA), Washington (WA), Massachusetts (MA), Arizona (AZ), Indiana (IN), Tennessee (TN), Missouri (MO), Maryland (MD), Wisconsin (WI), Minnesota (MN), Colorado (CO), Alabama (AL), South Carolina (SC), Louisiana (LA), Kentucky (KY), Oregon (OR), Oklahoma (OK), Connecticut (CT), Iowa (IA), Mississippi (MS), Arkansas (AR), Utah (UT), Kansas (KS), Nevada (NV), New Mexico (NM), Nebraska (NE), West Virginia (WV), Idaho (ID), Hawaii (HI), Maine (ME), New Hampshire (NH), Rhode Island (RI), Montana (MT), Delaware (DE), South Dakota (SD), Alaska (AK), North Dakota (ND), Vermont (VT), Wyoming (WY), as well as the District of Columbia (DC). We are also able to accept international clients from countries all over the world, and even offer a Canada Temporary Resident Visa application service. Canada Temporary Resident Permits are typically reserved for people who have an important reason to visit Canada and are not generally issued for people interested in crossing the border for leisure purposes. Depending on your circumstances, however, it may be possible to obtain a T.R.P. for vacation or leisure as long as your situation is deemed appropriate by the assessing officer. While it might seem tempting to download the Canada TRP form IMM 1444 and attempt to apply yourself, an immigration lawyer can give you the best chance possible of being permitted to cross the border with a DUI or other criminal history. If you are interested in a permanent remedy for criminal inadmissibility, Canada Criminal Rehabilitation is your only option since TRPs are only valid for a fixed amount of time. When warranted, a person can obtain a Temporary Resident Permit in conjunction with a Criminal Rehabilitation application submission potentially allowing a port of entry TRP to give them access to Canada until the lengthy consulate processing is complete.